Before you begin your search for the perfect venue, consult with an event planner! 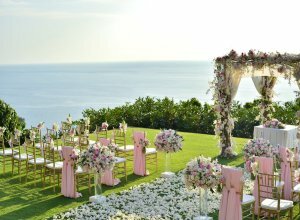 A planner is more familiar with the venue landscape and the important factors that should be considered before choosing. These factors include capacity, layout, availability, and the amount of time needed to transform the space. A planner can scout locations for you, and will have the negotiating skills and business relationships to make sure that you get the best deal possible. So much more goes into a budget than the stand-alone cost of the venue. There is an expansive menu of options to incorporate into your budget, including décor, flower design, price-per-plate catering, parking, and facility extras. It is critical to break down your budget into categories and prioritize. An event planner can help you construct a comprehensive budget and find a location that meets your needs. There is such a diverse array of venues that it is advantageous to have a clear vision for your event. This can help you narrow down your search only to spaces that meet your unique aesthetic and needs. For example, if you have themed event and want a highly customized party experience, you may want to look into warehouse or loft spaces that leave plenty of room for personalization. Once you’ve created your budget and have a clear vision for your event, you can review your options. Some venues are full-service and offer tables, chairs, linens, and other extras at an additional cost. There may be the potential to save money, however, your options for customization are more limited. On the other hand, you may be able to find vendors with less expensive options that meet your vision. An event planner can be helpful in this regard as they are more familiar with vendor options and can secure you a great deal. In the end, it’s important to stay true to yourself (and your budget!). With the right guidance, you can find your perfect venue for your truly perfect event. Let Successful Affairs help!